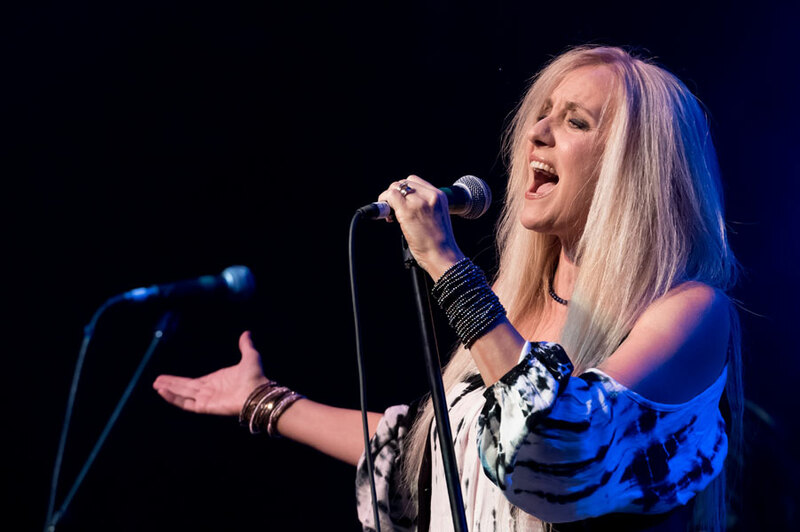 Toronto-based rock singer Sass Jordan’s earthy vocals and powerful lyrics have rocked North American ears ever since she released her debut album Tell Somebody in 1988. Recipient of a 1989 Juno award for Most Promising Female Vocalist of the Year, she went on the record several successful albums, among them Racine (1992), which produced four Canadian hit singles, and the critically-acclaimed Rats (1994). 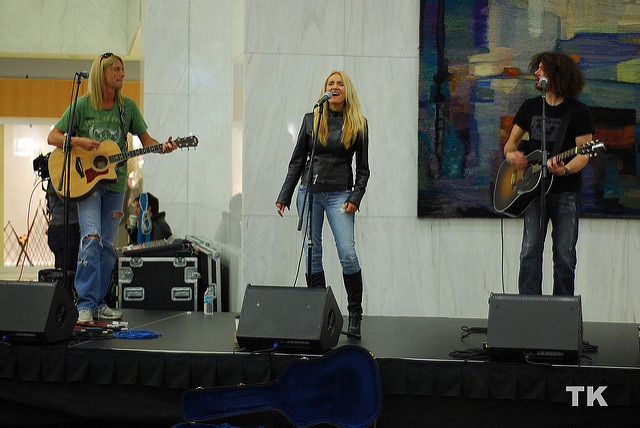 Jordan has also worked as a theatre and television actress and was a judge on Canadian Idol for the six-year run of the show. This year, she celebrated the 25th anniversary of Racine by releasing Racine Revisited, a reimagined re-recording of her 1992 album Racine. Anita Malhotra spoke by phone with Jordan, who was at her home in Toronto, on Oct. 27, 2017 following her tour of the Netherlands and Germany and in advance of her Nov. 7 show at the National Arts Centre in Ottawa. AM: How has your tour been going? SJ: I always get thrown by the word tour because in my world, tour means you go out for a couple of months and you don’t even come home at all during that time. Actually, I did do two weeks in the Netherlands and Germany, but I’ve been doing what you could call one-offs. All of that to say, it’s going fantastically. I’m doing a different type of show starting in November where I’m going to be doing the Racine Revisited album front to back semi-acoustically, but in a format of storytelling. It’s like I’m telling the stories with the soundtrack of the music. So I’ll play a couple of songs, then I’ll tell a story or two, then I’ll play a couple more songs, tell a story. There’s two 45-minute sets of that, which I’m super excited about. AM: So the stories will be about your life at the time when you recorded the music? SJ: More about the writing of the songs, which of course includes my life. Just telling the story of the writing of the song and how that song came about. And hopefully the rest of the band will have little stories about what they were doing in ‘92, along with people who are at the show. I’m hoping they’ll want to be involved in the stories as well, or ask questions. I want it to be interactive – as if we’ve all gone out for dinner together and we’ve all had a glass of wine, and now we’re sitting around after dinner just telling stories with music. AM: Why did you decide to re-record this particular album? SJ: Because it was the 25th-year anniversary and I think it was the biggest album I had as far as selling. And then also it’s such a favorite with the fans. AM: What is the significance of the title, Racine? SJ: When I was kid, we had a place in the country outside of Montreal in a little village called Racine, so not only does it mean “roots” in French but it’s also my roots – from the name of the village. Musically I was exploring the roots of the types of music that I really adored when I was growing up. That would be the bloodline of the Faces, Rod Stewart Jeff Beck, Bad Company, and the list goes on. Every Picture Tells a Story or Gasoline Alley or A Nod is as Good as a Wink to a Blind Horse. All these phenomenal records that I so loved. It’s only one of the types of music that I adored when I was growing up, but it’s the one that most suits my voice. Because I also loved Curtis Mayfield and Isaac Hayes. But I couldn’t sound like that even though I would love to. I mean, I wanted to be Chaka Khan. Sadly, that did not work out. So it’s one of them – one of my roots. AM: How did you go about writing the songs for Racine? 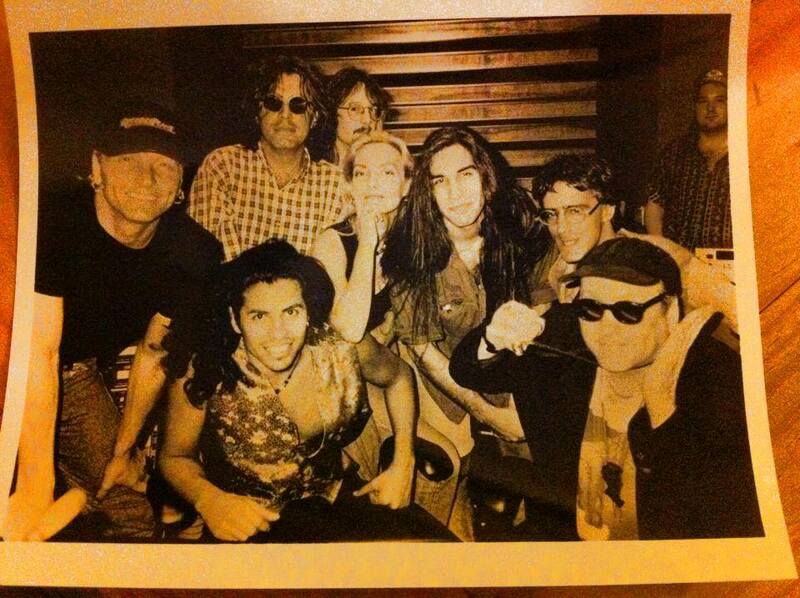 SJ: I had moved to Los Angeles in January 1990 and I was working with all kinds of different people. I wrote a song about Montreal on it that was called “Goin’ Back Again” and the two co-writers on that were actually in Rod Stewart’s solo band – Kevin Savigar and Robin Le Mesurier. And then we had Rick Neigher, who also produced the record for me, and Stevie Salas, who I went on to work with extensively on the next record that I made. AM: When you were working with other people, did you come into the studio with an idea or a melody? SJ: No, the way Rick and would mainly work is we would get into his workspace at Sunset Sound in Los Angeles, and we’d listen to songs that we loved that we wanted to emulate. And then it was just grow from there. And he’d go, “What about this, la, la, la, la, la, la, la?” And then I’d start singing over it, and then immediately words come to me because that just happens to me and the songs basically write themselves. It’s the coolest, the most fabulous thing. AM: So you’re not starting on your own at the piano or something like that? SJ: No, not me. I don’t play any chorded instruments. My inspiration is specifically lyrically. I will write the melodies because they have to fit with the words that are coming to me. I get inspiration from sitting in the coffee shop or watching a film or television show or reading a book. Or even staring at the sky, or a conversation. Something about it will store in my memory and then it will come from that. I’ll also make up titles for songs and that’ll be the chorus tag-line and then that itself will dictate the story to me. SJ: That song essentially was my little protest song. As you’re going through your life you run into people in positions of authority to you that tell you, “You shouldn’t be doing that,” “You can’t do that,” “That’s the worse thing you could do.” All of those people, that song is for them. For the naysayers in your life. AM: Where were you born? SJ: I was born in the Midlands. I was three months old when my parents moved to France, and then my brother was born in France. And then when I was three they moved from France to Montreal. AM: Is Sass a nickname? SJ: Yes, it is. My other name isn’t the name that I use. It’s Sarah. Sass is a common nickname for Sarah in England. I’ve been called Sass my whole life. I don’t like hearing Sarah from people. That’s like calling me Penelope! AM: What were your first memories of music as a child? SJ: I never heard what we would call rock or pop music. I didn’t hear that until I was about seven because I was born in the early ‘60s before they had the ubiquitous radios and music playing in every single shop that you went into. 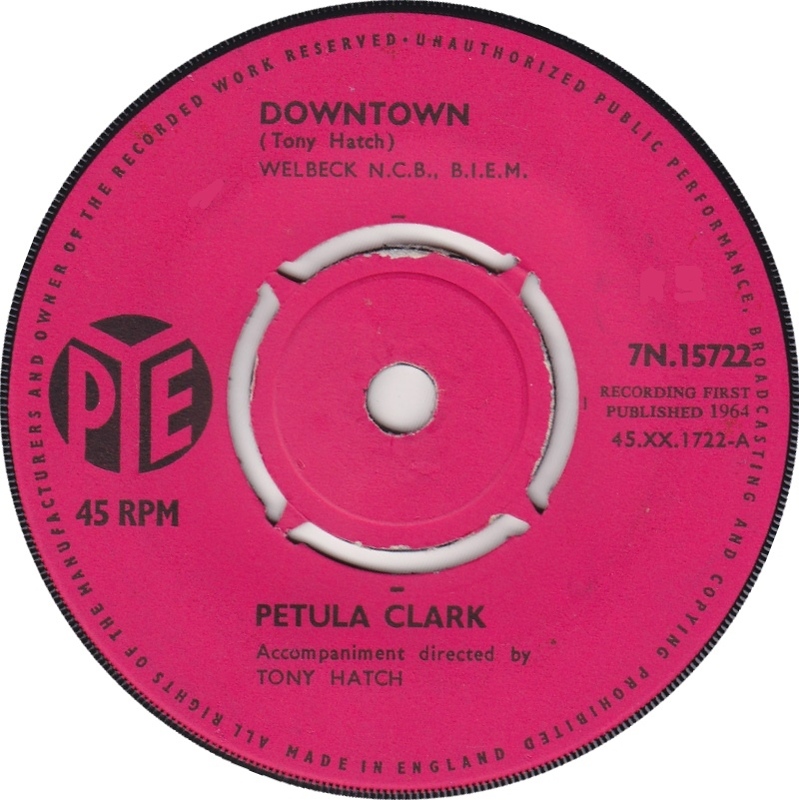 And my parents only ever listened to classical music, so I think the very first pop song that I heard was Petula Clark’s Downtown. My brother and I discovered that you could change the dial on the radio. So instead of it being classical music, all of a sudden one day we just turned the dial and the very first song that I ever remember hearing besides the Petula Clark one was, “The Night They Drove Old Dixie Down” by The Band. I must have been about 9 or 10 when that happened, and from that moment on everything changed because I knew exactly what I wanted to do. I was just a one-track mind, which is how I ended up becoming successful at all. It didn’t even occur to me that I wouldn’t be. I just knew that’s what I’m doing. AM: How did you start your singing career? SJ: I must have been around 14. We would hang out in Westmount Park and we would sit in a circle with acoustic guitars and would smoke pot – but it was hash actually because it was Montreal – and we would just sing for hours on end the songs of the day, be they Linda Ronstadt or Crosby, Stills, Nash & Young or the Eagles or Steely Dan. 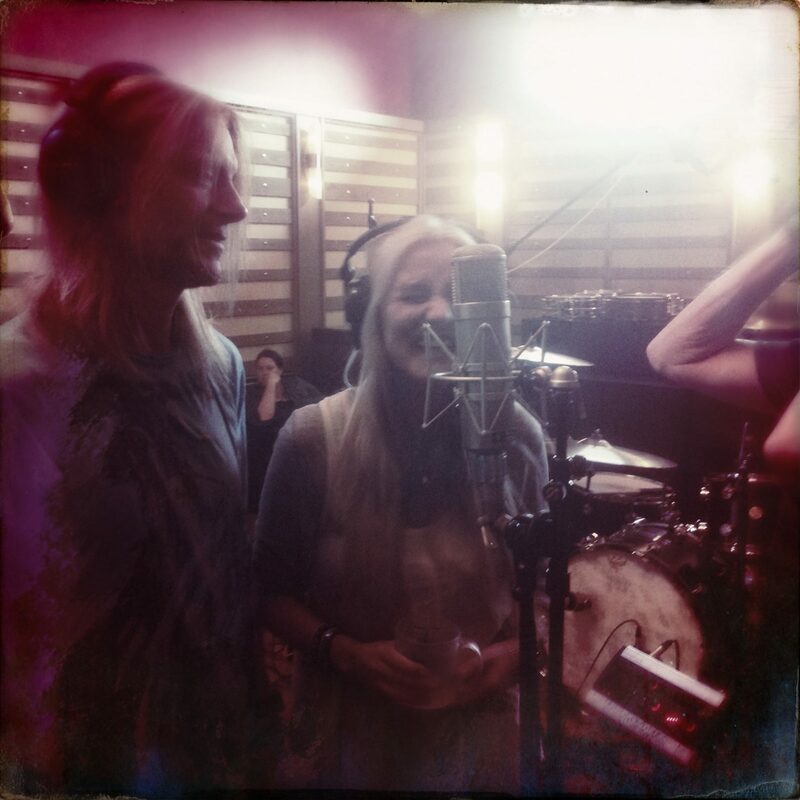 All harmony-type singing, and people would gather around us and listen to us. It was amazing – that’s how it started. And then we started getting paying gigs – you know, like 15 dollars. AM: Then you put out your first album by yourself? SJ: That was years and years later. It was 1988 I think when I started recording that first record. AM: What were some of the barriers that you faced as a female rock singer? SJ: The fact that there were no female rock singers in front of me whose footsteps I could follow in particular. I mean there’s always been soul, pop, gospel, everything, but not rock. Now there’s plenty – but there weren’t at the time. 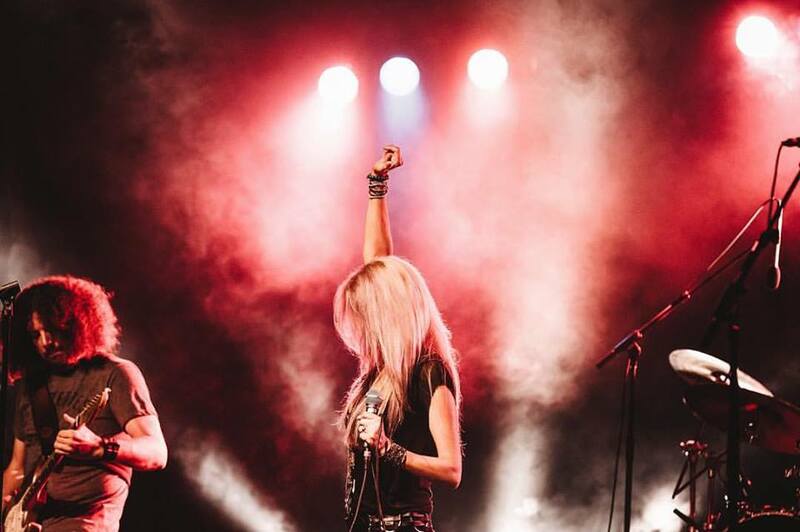 The worst thing that would happen to me was being told by radio programmers that they couldn’t play my new single because they were already playing a female – one – Melissa Etheridge. Yeah, and the rest of your playlist is all male and you can’t play me because I’m female. It was a little frustrating because it was not a female genre apparently. I wasn’t Madonna. I was like, you know, Paul Rodgers, and that wasn’t going to fly. AM: You’re married and have children. Was it hard to combine your family life with being a musician and your other activities like being a judge on Canadian Idol? SJ: I don’t think it was any harder for me than for anyone else. I have a lot of travelling that I had to do but luckily I had people that would help me out a lot. As far as I can remember, it wasn’t that bad. I think I’ve had a very charmed life. AM: How old are your kids now? SJ: My step-daughter is 24 and my daughter will be 20 in November. AM: You are married to a musician. Do you work together a lot? SJ: Yes. We do work together quite a bit but we also work separately. He’s a singer in a band called The Guess Who and they’ve just made a new record. Actually, we’re working together tomorrow doing this charity thing that I do called Benevolent Artists National Charity. We’re doing a fundraiser for the NMC – the National Music Centre in Calgary. AM: Do you have any advice for young women entering the music industry now? SJ: The only thing I can think of is the same old platitudes that you’ve heard over and over and over, which is, just stay true to what you want to do. I have no idea how I would do it now. I’ve been doing this since the ‘70s and the changes that have happened since the ‘70s are so dramatic and far-reaching. I think you need to be really social media savvy. You have to be into self-promotion and able to do it properly. And you always have to surround yourself with the right people. I think if you really want to do it nothing’s going to stop you. AM: You’ve done some acting over the years. How does this allow you to express yourself differently than you would as a musical performer? SJ: I fell into these opportunities and I truly enjoyed them, and I would do it again if asked to, but compared to people who have worked at the craft and know what they’re doing, I’m a joke. But it’s fun. I freaking love sci-fi and I would do anything to be on a sci-fi show or a movie. I’d like to play some fabulous captain of a starship or something. AM: After you finish this run in November, do you have any projects that you’re working on? SJ: I sure do! Being this is what I do, I’m writing a whole bunch of new music. And I’ll be touring a whole bunch more. I’m looking at other countries as well. I’ve been having such a great time in the Netherlands and I’m going to get more in Germany, France, Belgium. And I’d love to go to Australia so I’m working on that. And I’m also working on projects with other people – nothing that I can say yet because nothing is written in stone yet. 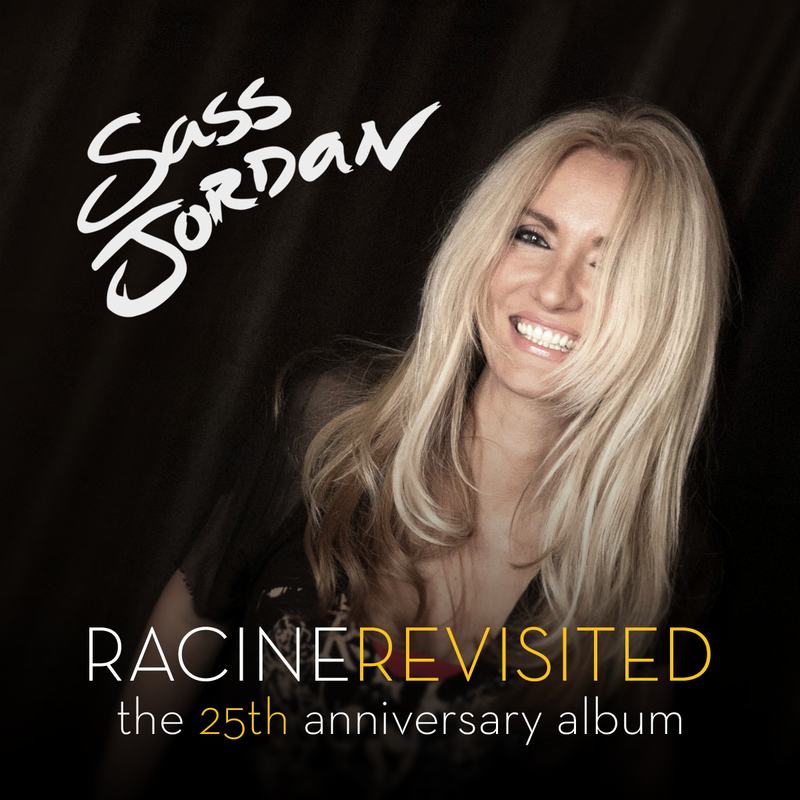 Sass Jordan will perform her show Racine Revisited at the National Arts Centre in Ottawa, Ont. on Nov. 7, 2017. 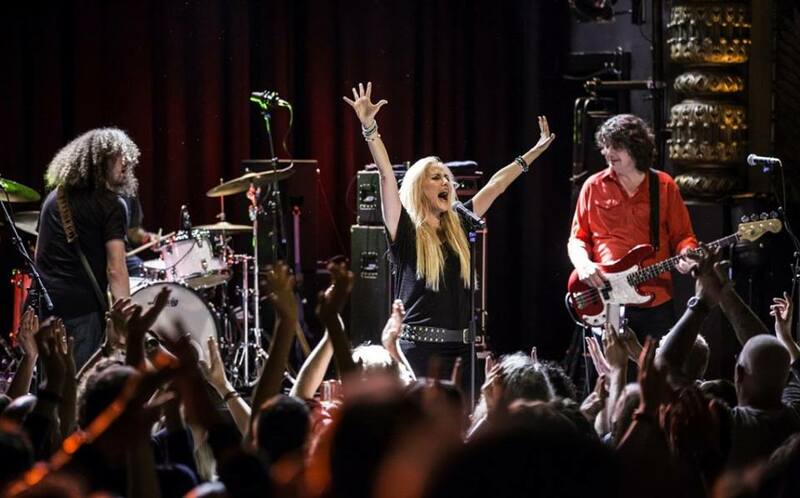 Other upcoming shows include Owen Sound, Ont. (Nov. 10), London, Ont. (Nov. 15), Abbotsford, B.C. (Nov. 25), St. John’s, Nfld. (Dec. 8) and Montreal, Qc. (Jan. 26). 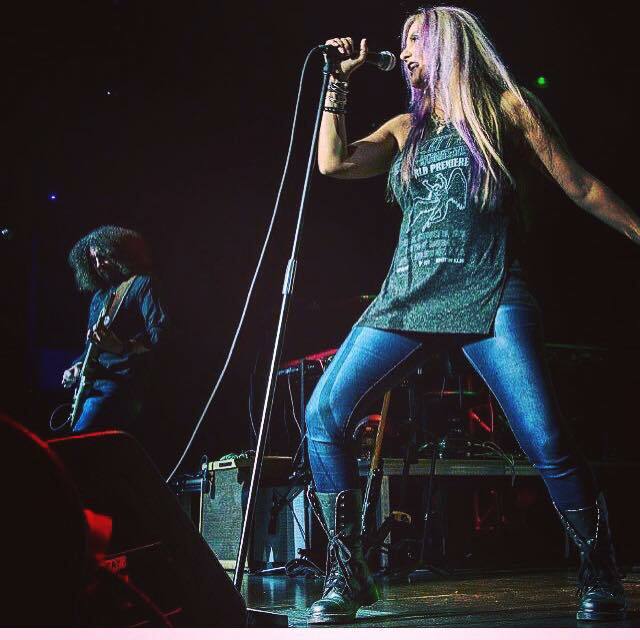 For more information about Sass Jordan and her music, visit sassjordan.com. This entry was posted in MUSIC and tagged Brian Tichy, Canadian rock singer, Canadian singer, High Road Easy, I Want to Believe, Interview with Sass Jordan, Kevin Savigar, Make You a Believer, Matt Sorum, Montreal singer, National Music Centre, Nick Lashley, Petula Clark, Racine album, Racine Revisited, Rats, Rick Neilson, Robert Plant, Robin Le Mesurier, Rock singer, Sass Jordan, Steve Perry, Stevie Salas, Taylor Hawkins, Tell Somebody, Tom Petersson, Tony Reyes, Toronto singer, Who Do You Think You Are. Bookmark the permalink. I finally took the time to read this. Thanks Anita. 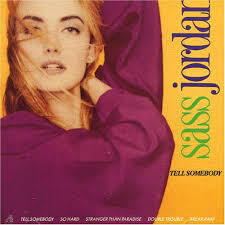 Sass Jordan was part of my teen years in ’88 when I discovered her and Melissa Etheridge as great female rock singers. They both blew me away along with Alannah Myles too. Great interview Anita! Will you be going to her show? Talk to you soon!